After preparing the batter for Raw banana dahi vada, I started thinking... can I make dosas with this batter? 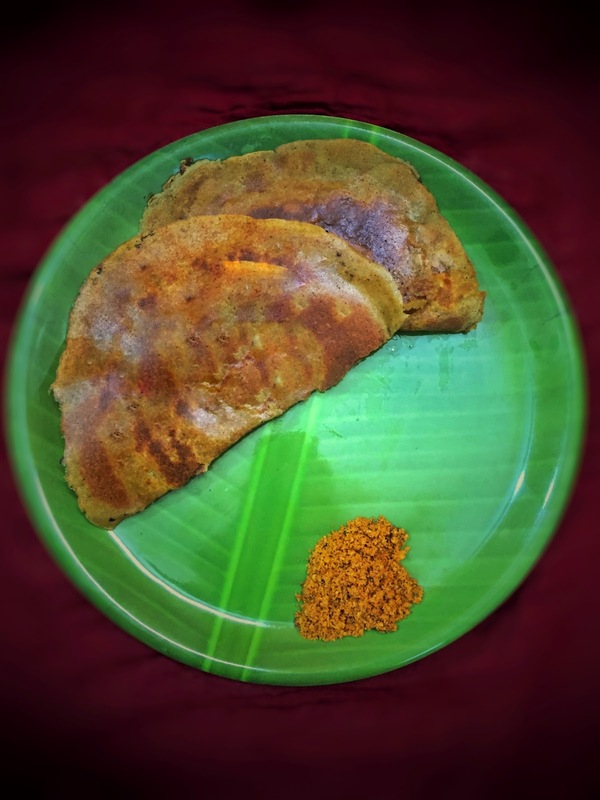 Well, after living in south India dosas are definitely inextricable part of one's life :) Here goes the recipe of yummy raw banana dosa!!! Soak dal and rice overnight. It can be prepared without rice too. Rice will make it more crispy. Put all the ingredients except oil in a mixer. Blend them into a smooth batter. Heat a non-stick pan. It should not be very hot. Put 1/4 tsp oil, use a napkin to spread it evenly. Pour batter into the centre of the pan with a flat bottom bowl or spatula. Spread it with light circular motions. Don't try to fill the holes. Make it as thin as possible. Apply oil from sides and on top of it. Remove it from the pan once it is brown from one side. Serve it with curry leaves and coconut chutney or plain coconut chutney or any of your fav chutney.